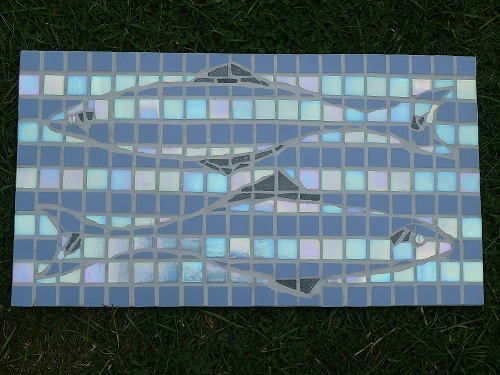 I am delighted to undertake private commissions for your home or garden for indoor and outdoor spaces. If you are thinking of revamping your house and want something a bit different, a specially commissioned picture to match your curtains or decor could be just the thing to give it your personal stamp. 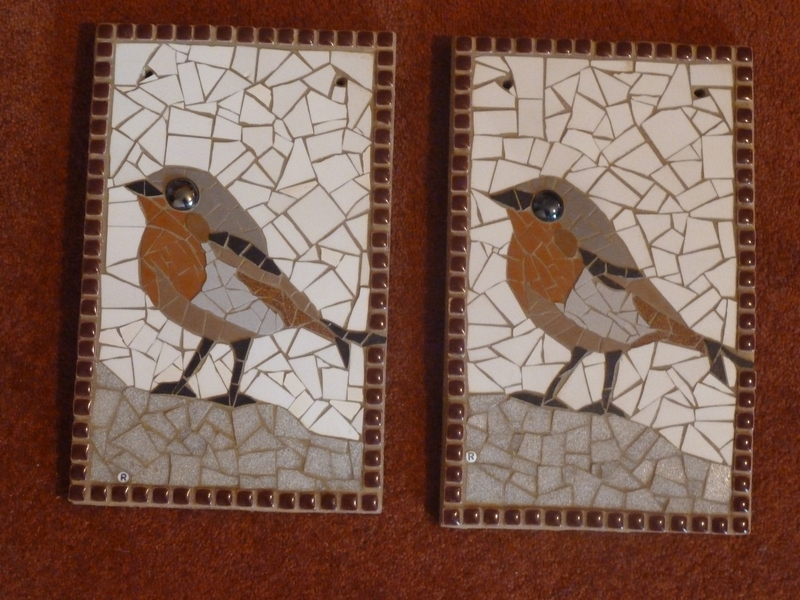 Or how about a mirror or inset panel in your newly decorated bathroom or kitchen? 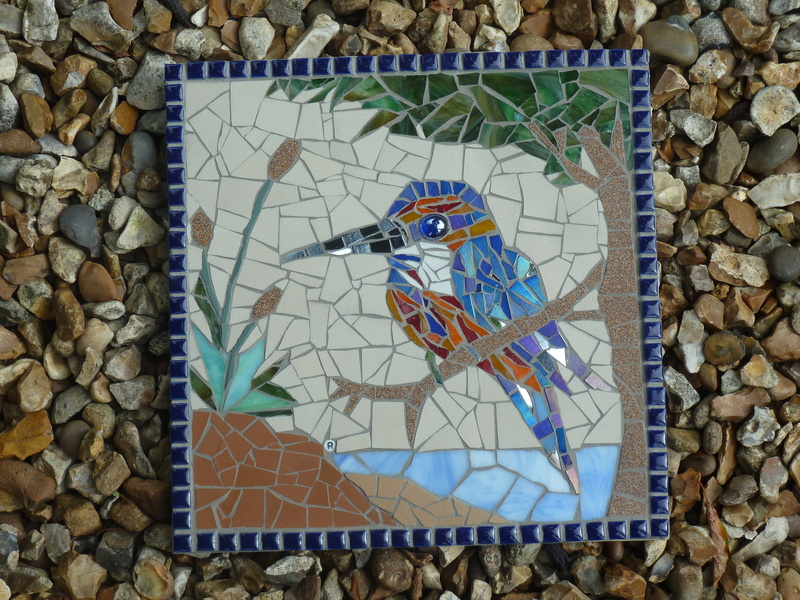 Mosaics are perfect for an outdoor space – small or large, I can create something special and unique for you. 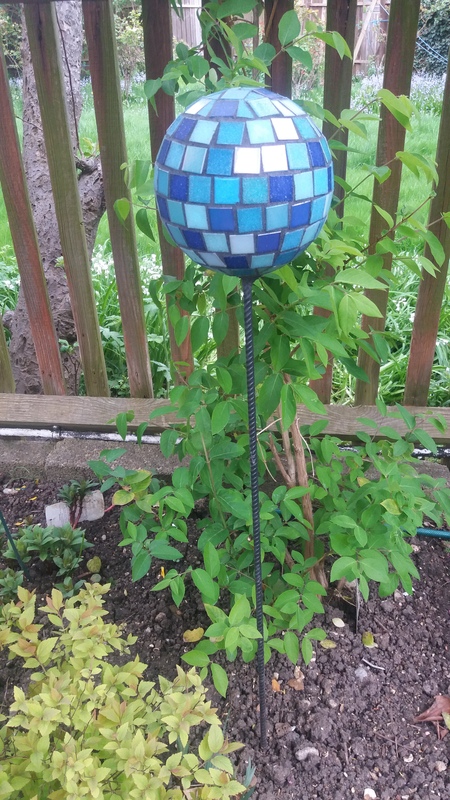 Working closely with my clients, I design and create both practical and decorative items to match your own style, colour scheme and personality. 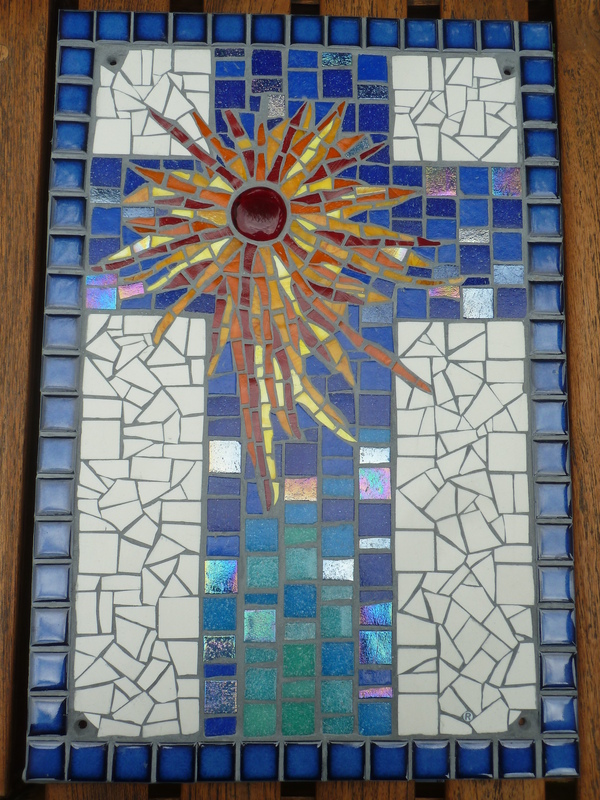 Mosaic commissions are priced according to the size, complexity of the design, materials used and technical considerations for installation. 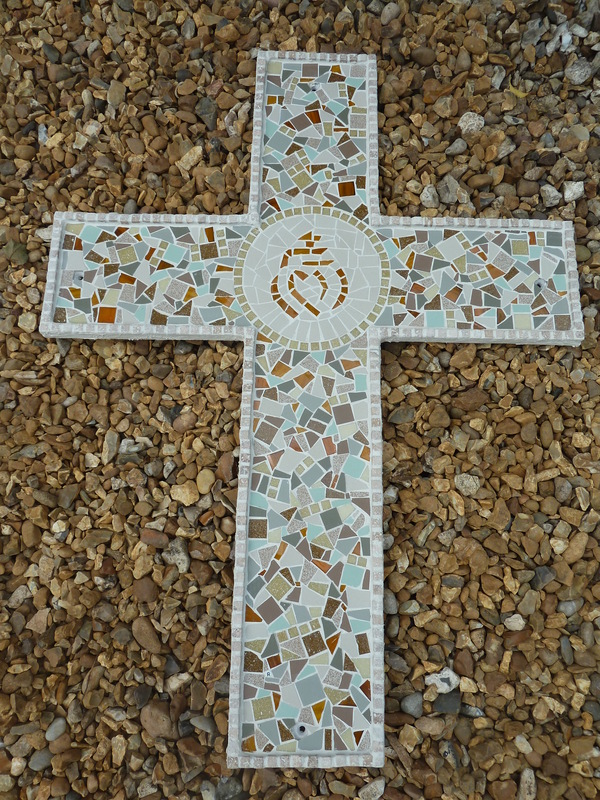 Simple small items such as decorative pieces, mirrors or door numbers can be made available for as little as £60 – £100. Wall panels, outdoor stepping stones and inset pieces range from £100 – £1,00, larger projects are priced according to requirements. Below are some examples of my commissioned work. Please feel free to contact me directly to have an informal chat about your requirements. I am always happy to talk through ideas and there is no obligation at all. I look forward to hearting from you.